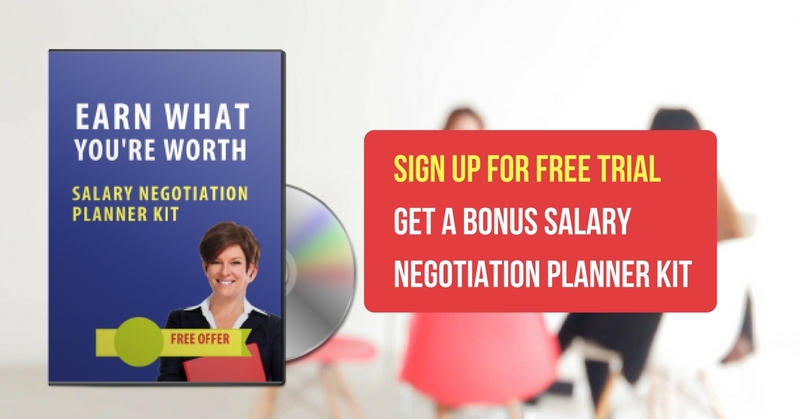 An online course that shows you how to be a confident, powerful negotiator. Hi! I'm Eleanor Shakiba, your course presenter. If you want to ace your next negotiation, this course is for you. Here's what's covered in each lesson. Lesson 1. Stay in control of your negotiation, from start to finish. Hear how to use a step-by step process to keep every negotiation on track. Learn to step out of reactive mode and into proactive mode. Master phrases for opening your negotiation - because this is the point at which you need to look, sound and feel confident. Lesson 2. Spot an unfair deal and walk away without being ripped off. Feel prepared and calm in every negotiation. Savvy female negotiators do this by planning their walk-away strategies before starting any negotiation. Find out how YOU can do the same. This session includes a bonus mind-programming NLP audio session, Feel Confident Now . Lesson 3. Look, sound and feel confident when you negotiate. Boost your credibility as a female negotiator with 4 body language tools. Learn to drive towards win-win results, without giving too much away. And use the bonus audio session to learn how to say 'no' and mean. Lesson 4. Manage the 'bargaining' side of negotiation, so you get a great result. Keep negotiations fair, by mastering the art of ‘bargaining’. Hear why smart female negotiators think ‘concessions’ rather than ‘compromises’. Discover 4 ways to exchange without being ripped off. Lesson 5. Overcome barriers, objections and impasses. What should you do when your negotiation counterpart says ‘no’ to an offer? Learn 4 ways to challenge ‘no’ without sounding pushy. Hear how to handle objections calmly and powerfully. Lesson 6. Speak masterfully, confidently and influentially.Learn to use influential language techniques – such as benefit frames, verbal tags and solution-focused questions. These are powerful tools which will make you shine as a female negotiator. Real women explain why YOU should learn how to be a savvy negotiator. Get more of what you want from your career. Make a convincing case for your ideas and projects. Increase the impact you have at work, consequently boosting your career. Boost your confidence and gain a framework to use to guide your negotiations. Learn strategies for not panicking in a negotiation and backing down. Overcome the stereotype of being a woman that can be talked over or ignored. Look what's included in your course pack! Welcome! My name is Eleanor. I'm a master trainer and success coach, based in Sydney. My passion is helping talented people - like you - to excel. I use tools from Positive Psychology and Neuro Linguistic Programming (NLP) to do this. I've already trained over 50,000 ambitious people. I'd love to work with YOU next. I set up Success Factor Academy to support my mission to train 100,000 people by 2020. Having my first book published in 2016. I'm currently working on the next one...the book version of 6 Habits of Savvy Female Negotiators. Like you, I am a lifelong learner. My qualifications include a B.A. in Social Anthropology and postgraduate qualifications in Applied Psychology and Adult Education. I’m a Trainer and Master Practitioner in Neuro Linguistic Programming. Currently I am completing qualifications in Positive Psychology. You can look, sound and feel like a confident negotiator. Sign up and get started right now! Contact me at Think Learn Succeed.